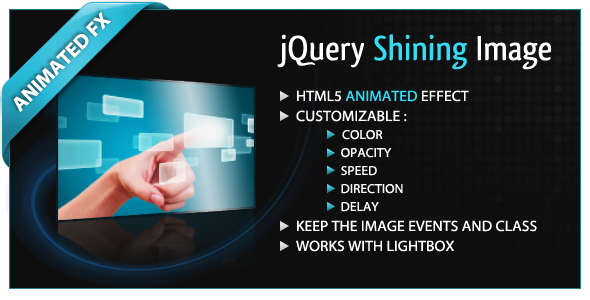 jQuery Shining Image is an HTML5 jQuery plugin that add an animated shining effect to your images. This plugin use canvas element, and is compatible with all computer and mobiles modern browsers. For the others, the image keeps its default static look.